Häagen-Dazs is on the hunt for a global agency, bringing its relationship with Saatchi & Saatchi to an end. The ice-cream brand, which is owned by General Mills, confirmed that Saatchi & Saatchi is not repitching. The Publicis Groupe network was appointed to Häagen-Dazs's global account in 2015, although it had already created ads including 2013’s "The house of Häagen-Dazs", starring Bradley Cooper. 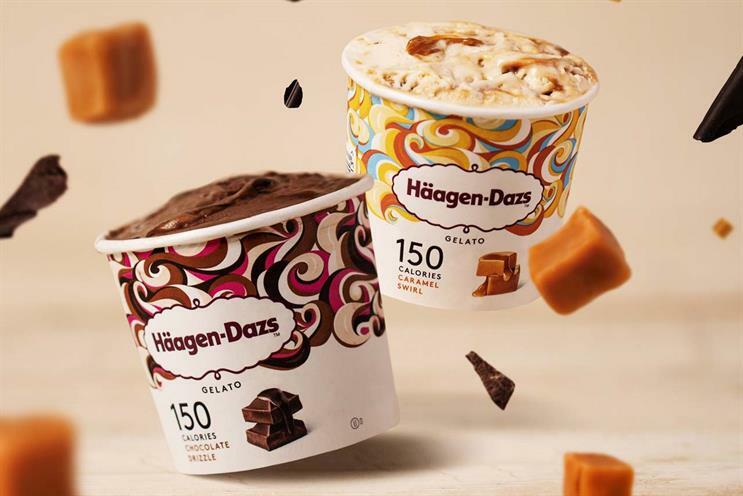 The brand said it gave "huge credit" to Saatchi & Saatchi for "helping us get to this point as we reinvent Häagen-Dazs. We will build on the strong global refresh we developed and engage people in bold, unexpected ways". Häagen-Dazs, which is running the review directly, said it is aiming for a more "provocative" approach to its marketing and said that it would require agencies taking part in the review to demonstrate a commitment to gender inclusion through the balance of its workforce and its agency culture. The last Häagen-Dazs campaign by Saatchi & Saatchi was created by Mia Silverman and Sophie Browness, and Kate Stanners, global chief creative officer and chairwoman, has overseen the account since its arrival at the agency. Stanners said: "I personally appreciated my time working on Häagen-Dazs, as have Mia and Sophie, the team who created the last campaign. However, although we couldn’t agree more on diversity, there obviously comes a time when relationships part ways. We wish Häagen-Dazs the best in its search for a new partner." Häagen-Dazs wants an agency that would be "bold, brave and creative, share our vision and put our consumers first", according to Jennifer Jorgensen, the brand's vice-president and marketing director. She added: "We want to do our part to support agencies who support the advancement of women in the industry. We get to choose where we spend our money and we are choosing to spend it with agencies who share our values. "Our dream agency thinks in terms of big ideas that connect with our consumers at exactly the right moment and in the right place. We need them to think about our global strategy, understand our consumers across the world and the role that Häagen-Dazs could and should play in their lives and culture." A spokeswoman said that while agencies pitching for the account would need to have a global footprint, it was not certain which city the account would be led from – although Jorgensen is based in London.